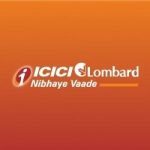 Jobs at ICICI Lombard General Insurance Company Limited - Jobs Vibhaga - Dedicated job portal for unemployed job seekers. ICICI Lombard GIC Ltd. is one of the leading private sector general insurance companies in India. We are a joint venture between ICICI Bank Limited and Fairfax Financial Holdings Limited, a Canada based diversified financial services company. We have won many accolades and awards on various platforms, including the recently won Ã¢â‚¬Å“Best Social Media Integrated Campaign AwardÃ¢â‚¬Â� and Ã¢â‚¬Å“'Non-Life Insurer of the Year'. We are well known for our innovative products, marketing strategies, focus on technology and exemplary customer services.